Inspired by the Black Lives Matter movement, this incredibly powerful debut YA novel from Angela Thomas holds up a mirror to what prejudice looks like in the 21st Century. The Hate U Give is a gripping look into one girl's struggle for justice. The Hate U Give is being incredibly well received by US audiences, with articles on its acquisition featured in ELLE magazine, Marie Clare, Variety, Forbes.com and Publisher's Weekly. 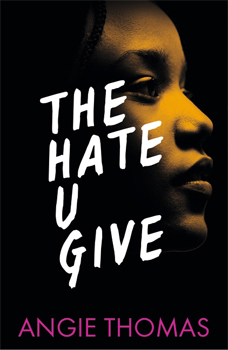 The Hate U Give has already been sold into 12 territories, with Fox 2000 securing the film rights after an intense bidding war, with Amandla Stenberg (The Hunger Games, Beyoncé's Lemonade) set to star and George Tillman Jr (Men of Honour) set to direct.